I contemplated not writing anything on the sudden, shocking and sad passing of Philip Seymour Hoffman - because what more did I have to add? - but I truly don't think I've been hit so hard by a passing in the film community. I felt kind of stupid for crying as soon as I found out this morning, and then again as I saw the midday news, and then when I got to work and reached for our copy of Doubt, just seeing his name. 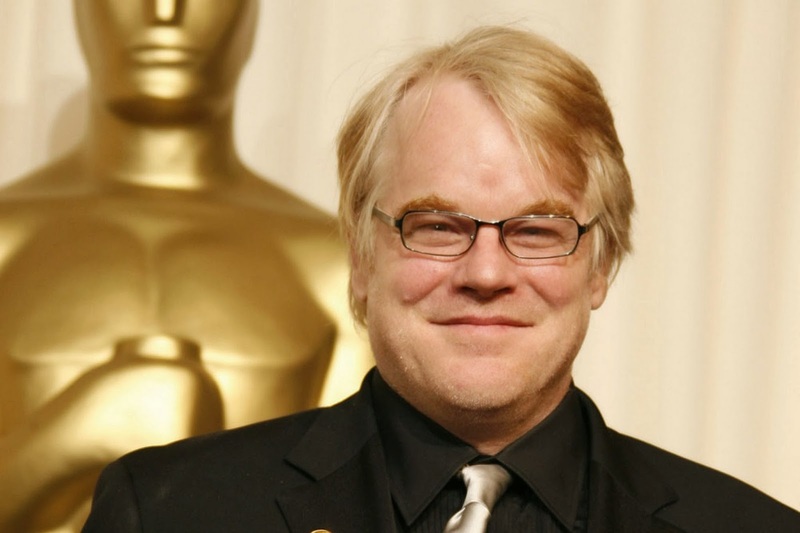 Simply put, Philip Seymour Hoffman was one of the greats. And he went far too soon. I was looking back on his career and how long I've had his presence in my movie obsession, and I came to realise that he was there from the very start. Back when I was ten years old, one of my first initiations into the film industry was the 2006 Oscars. As I did with most of the things I was obsessed with, I made a poster on the Oscars for my class (for literally no reason). If you recall, this was the year that Hoffman won the award (and every other award) for Capote. I still, to this day, haven't seen Capote, but I remember doing a little bit of research into the guy, since he wasn't the type of 'actor' I was used to seeing around. I may not have watched any of his films at age 10 (that I can remember), but I made a mental note to one day follow his career. Before I started high school, I distinctly remember watching both Before the Devil Knows You're Dead and Doubt, which helped to reinforce my developing taste in film, and my developing knowledge of what a great performance is. Throughout the years, as I was introduced to Paul Thomas Anderson films, and the awesomeness of Almost Famous, Philip Seymour Hoffman was always there, turning out great performance after great performance. And perhaps that's what my eyes have been watering all day - especially as our new trailer disc has a trailer for The Hunger Games: Catching Fire on it, and I couldn't help but shed a few tears at the brief glimpse of him the trailer offers - Philip Seymour Hoffman was always one of the cinematic family. He was the one you could depend on to bring something different to the table, to make any film better by his presence. And he was the one that we all felt like we'd have around forever, adding his magic to films. Just the thought of the fact that he will no longer be gracing our screens, even though we all want to see so much more of him - it is unbearable. Sometimes deaths offer hyperbolic statements, but no hyperbole could ever do Philip Seymour Hoffman justice. He was truly one of the greatest actors we ever had. And we were so lucky to have him be a part of our family. Really lovely post, the news is so shocking and upsetting. He really was one of the greats and he will be missed so much. It still hardly feels real that he's gone. Great post though, it was very passionate. It definitely doesn't feel real at all. Lovely post. It's such a huge and saddening loss for the movie world. Such a huge loss for the movie world, I can't remember being this upset over a death in the movie world. Yep, this is one man that the word hyperbole simply doesn't apply to. Very endearing post, Stevee. He is one of the greatest, no doubt about that. I love this tweet by my local politician which also sums ups my feelings: "Social media's relative silence about Philip Seymour Hoffman's death compared to Paul Walker's speaks volumes about aesthetic judgment." Great actor, huge loss!! I know, that's so sad :( It is really annoying explaining that he's the guy from Catching Fire to everyone I know, and all they care about is the future of their precious Hunger Games trilogy. Nice write-up. I'm gutted he's gone. I think I even undervalued his work, just because he was always so great. I really need to see more of his films, which I plan on doing soon.